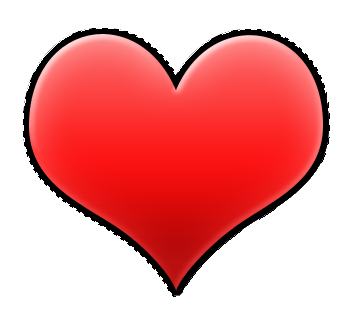 Heart icons or graphics are pretty popular, especially since its Valentine’s month. If this is your theme for your special season brochure prints and booklet prints, then you will probably will want to learn how to do them properly. 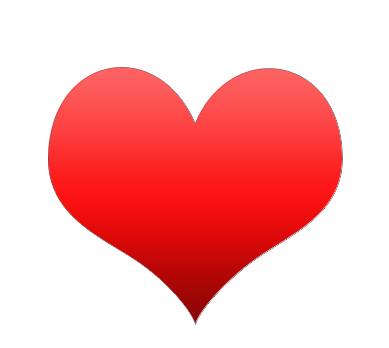 In this tutorial, we will go through creating heart icons in the web 2.0 style. 1. In Photoshop, select the custom shape tool in the tool window. 2. Next, on the shape properties above, choose the “heart card” custom shape. 3. Next, just drag the tool unto the canvass to shape the heart. 4. Now, we’ll add colour to the heart. We are not just going to make it red. We are going to make it a gradient red so that it looks more modern and dynamic. Do this easily by first right clicking on the heart layer and then choosing blending options in the context menu. 5. 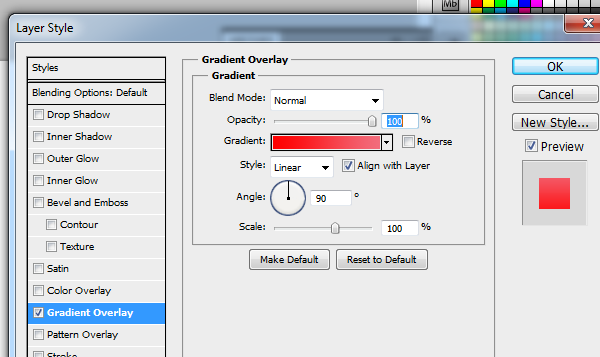 Once the layer options window is up, tick the “Gradient Overlay” box. 7. That should give us a nice gradient colour effect. For many people this is already a good style. However we will take things further. 8. Now, we add an outer glow style to add some more soft light around the edges of the heart. Just bring up the blending options again and tick the Inner glow option. 9. Set the blend mode to Soft light. The colour should be pure white #ffffff. Depending on the size of your heart, adjust the size. For us 42pixels is enough. This should result in a pretty bright looking heart. 10. Now, let us add more subtle light options. Go back again to the blending options and tick of bevel and emboss. 12. Look at your shape closely and you will see a subtle white effect on top of our glow effect. 13. Now, select your heart again. We shall expand it to get a gradient coloured border. 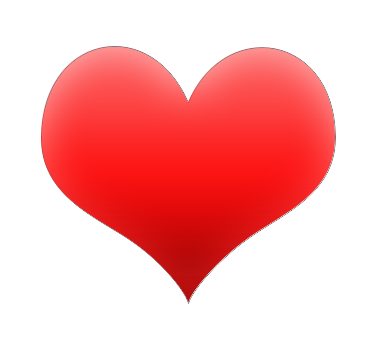 Press and hold the CTRL key and then click on the thumbnail of the heart layer to select the shape of the whole heart. 14. Then go to Select -> Modify -> Expand. 15. Expand the area to about 6 pixels. 16. Now, press CTRL+SHIFT+N to create a new layer. Select the defaults for the new layer. Don’t worry the selection will still be there. 17. Then fill that out with the paint bucket with a random colour. 18. Then, send that expanded layer back. 19. You should then see a nice black border on the heart. 20. 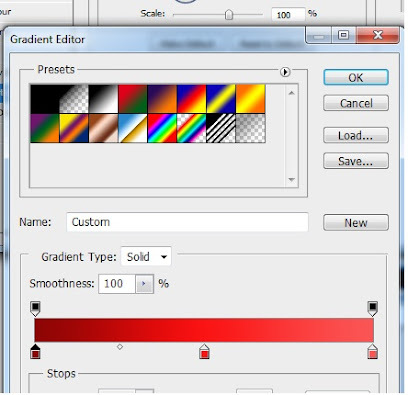 Change the colour of the border and use a gradient by editing its blending options. Tick off gradient overlay and decide on a good color. 21. That should give us a gradient type border for the heart. 22. So that is how you get a great looking heart icon for your designs. 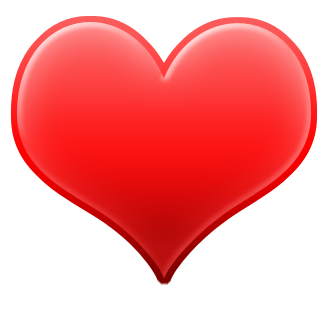 Now, you can leave it at that, but since this type of heart shape is common because it is used in Photoshop, you might want to alter its shape a bit. 23. DO this by selecting both layers and rasterizing them. Just right click on both selections and select rasterize layers. 24. Then Merge both layers by right clicking and selecting merge layers. 25. Now, you can press CTRL+T to transform the heart. It would be good to experiment with the Warp effect of the free transform. Just be creative about it. 26. Just adjust the shape of the heart to your taste.